What is Dada? The curious may start, as with any subject, at its Wikipedia page. But that entry on "the World War I–era 'anti-art' movement characterized by random nonsense words, bizarre photocollage, and the repurposing of pre-existing material to strange and disturbing effect," the Onion once comedically reported, "may or may not have been severely vandalized" into a state of mysterious and seemingly deliberate chaos. But "the fact that the web page continually reverts to a 'normal' state, observers say, is either evidence that ongoing vandalization is being deleted through vigilant updating, or a deliberate statement on the impermanence of superficial petit-bourgeois culture in the age of modernity." 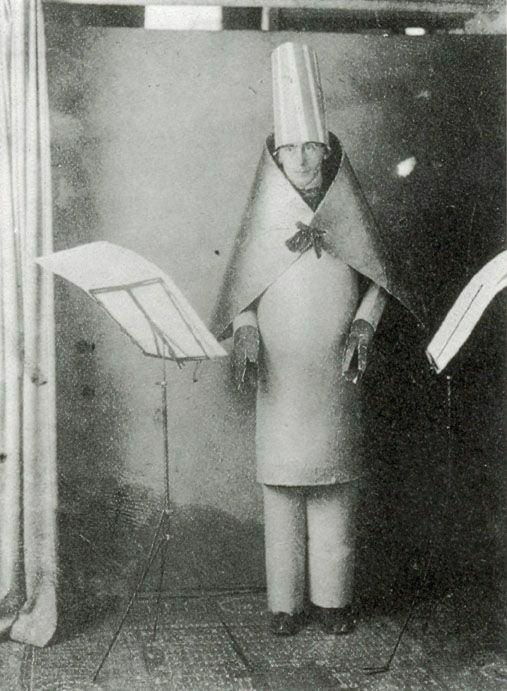 This raises a more interesting question: how has Dada remained relevant enough to make fun of? Whatever its condition, its Wikipedia entry should inform you that it began in July 1916, making it — whatever, exactly, "it" is — a century old this month. On July 14th, 1916, writes the New York Times' Corinna da Fonseca-Wollheim, "the poet Hugo Ball proclaimed the manifesto for a new movement. Its name: Dada. Its aim: to 'get rid of everything that smacks of journalism, worms, everything nice and right, blinkered, moralistic, europeanised, enervated.'" 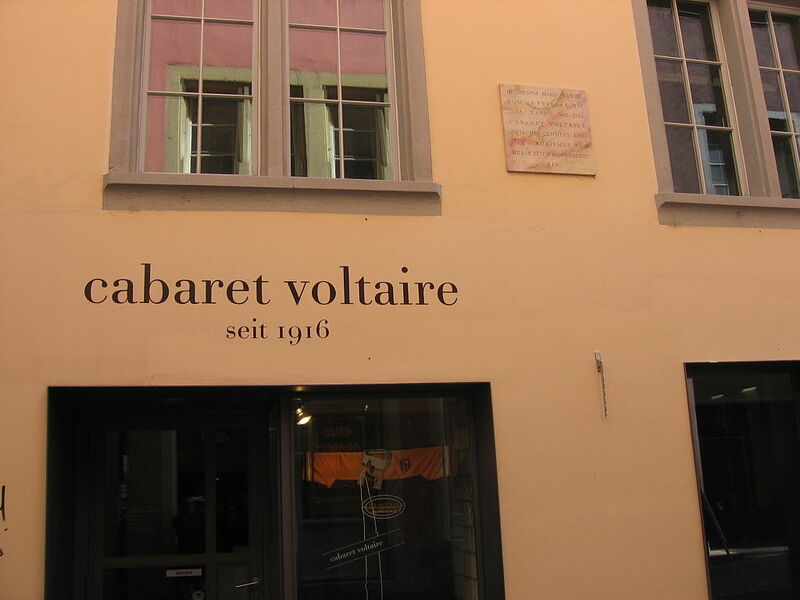 Meeting at Zurich's Cabaret Voltaire, Ball and a group of collaborators labored, briefly but excitingly, to create "poetry shorn of intelligible words, music devoid of melodies and statements in which the message was cannibalized by the absurdity of the language" as "a protest against a European civilization hellbent on war." The Onion began having fun with Dada's mission almost eighty years after the original movement itself dispersed at the armistice of November 1918 (though the Cabaret Voltaire itself still exists, as you can see just above), imagining a war on art launched jointly by Dadaists and Republicans "calling for the elimination of federal funding for the National Endowment for the Arts; the banning of offensive art from museums and schools; and the destruction of the 'hoax of reason' in our increasingly random, irrational and meaningless age." The firebrands of Dada didn't hate art so much as they hated what they diagnosed as the "logical" and "rational" ways of thinking that had led Europe into a period of self-destruction and theretofore unheard-of brutality, and arrived at the direct opposition to the supposed fruits of Western civilization as the only meaningful response. If you really want to connect to the spirit of Hugo Ball, Tristan Tzara, George Grosz, Hans Richter and the rest of the Dadaists, start with their modern descendants and work backward: any movement that opened the space for artists like Captain Beefheart, Devo, and even, according to Ben Ratliff in the aforementioned New York Times article, Kanye West in his MTV Video Music Awards speech last year was certainly on to something. Given how many observers of the political scene in Europe and elsewhere say we've entered a grim but inevitable era — one where Kanye running for president as he promised on MTV might actually improve matters — Dada's pronouncements may soon come in handier than they have in... oh, about a hundred years. Find more good Dada material in the Relateds below. I was in Zürich a few months ago and got to witness all that was unfolding. Quite awesome and historic to be there at that time.